What would you produce if the sole logic behind the output is abject hate for anything Hindu? Perhaps nothing more clandestine than the op-ed piece of Siddharth Varadarajan on NDTV portal. If you haven’t read it yet then I may suggest you to read it first before we move. You can read it here. Hope you did your bit of reading. So let’s move ahead now. But before that - this is not an opinion piece of mine on what I think about PK as a film. I have already done that in an earlier post. If you haven't read that yet, it would be good if you do so here. Coming back to the current post; for starters, let me make a confession. How absurd the logic in Mr. Varadarajan's post may be, I still give that to him for remaining consistently insane with every issue relating to Hindus or Hindu sentiments. By the way, I am not the custodian of all Hindus and neither do I claim so. But then, Mr. Varadarajan is not the custodian of so called all liberal Hindus (as per his words) either. Hence, I as much enjoy the liberty to present the views of the so called orthodox Hindus as Mr. Varadarajan enjoys presenting the views of the liberals. No complains of intimidation should arise henceforth. You may ask - why, of all the people, I decide to rebut Mr. Varadarajan. Honestly, I could have easily refuted the “Idea Of India” cited by Mr. Varadarajan in his post by asking him his legitimacy being a foreigner to poke his nose so much in our internal matters. But I am not doing that since us as Indians have long let foreigners to guide us, comment on us or even formulate policies for us. 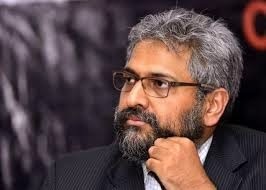 So Mr. Varadarajan gets that liberty by default to say what he wants to say albeit, he being prepared to take the counter pose on his chins without much complain. For those who don’t know, Mr. Varadarajan doesn’t carry an Indian passport. By all means he is “Fortunately Born In USA”, only to show up in Indian political and social discourse when it involves controversies surrounding Hindus. Hence, his appearance yet again for the hullabaloo erupting from the movie PK is on the expected lines. I guess this much prologue is good enough to introduce you all ignorant readers to Mr. Varadarajan and his style of functioning. Without wasting any more time, let’s jump to the rebuttal part straight away. Remember that scene from Jaaney Bhi Do Yaaron? You know the one: where Naseeruddin Shah and Ravi Baswani are being chased by the evil Tarneja and end up in the middle of a Mahabharata performance? What followed were surely some of the most hilarious moments of Hindi cinema, and the laughs were all at the expense of some of the most revered personalities from the Hindu epic.If such a film were to be made today, some self-styled 'sena' or 'parivar', acting in the name of all Hindus, would have accused the actors of denigrating Hinduism and demanded a ban. In fact Mr. Varadarajan’s arguments are as silly and fact less as his knowledge on the reasons why few fringe Hindu outfits are agitating against the screening of PK. If Mr. Varadarajan wants to learn, may I tell him that, the agitation against PK is because of its nonchalance in projecting Hindu Gods as objects of cheap comic. “Hindu Gods”, let me repeat. In JBDY, the scene in question doesn’t depict any Hindu Gods or Goddesses. For ages we have recreated that particular scene in various forms, starting with our school/college dramas to street plays and ‘Jatras’. We did it and continue to do it because there is some learning in this scene in particular and Mahabharata in general, which we will revisit little later. Before and after JBDY, we have mocked the “Draupadi Bastra-Haran” part in many ways. But what did that teach us? Not certainly the simplification that Mr. Varadarajan wants to project. The circumstances that led to that scene was always been a point of criticism in our mythology. In fact, the Hindu religion allows minute scrutiny of events in our mythology so that people can learn the fine points about bad and good Karma. And, certainly, one kind of scrutiny could be mocking the whole situation, by action or words. Even criticizing Gods are perfectly acceptable in our religion, provided the criticism is within the boundary of civility and sanctity. While presenting a situation comically is acceptable, making a joke out of Gods and Goddesses without reasons looks inflammatory. The thin boundary of civility that PK breached by abjectly mocking Hindu Gods is what is pinching more than the scenes those contained it. While JBDY picturing “Dute Krida” scene in a comic way is tolerable, the way lord Shiva was degenerated in PK is not. You may possibly make fun of a situation but not the individuals involved because that becomes personal. I am sure an erudite person like Mr. Varadarajan knows what is personal and what is hitting below the belt. The law is clear that such "hyper-sensitive" individuals cannot be the arbiters of what is permissible in a society like ours but it is time to take the debate over the Hindi film PK to the next level: What are we, as individuals, and as a society, prepared to do to uphold our right to go to the cinema with our friends and families to see the movie of our choice? I agree here for a change. There should be no place for fanatics in a civilized world. And I am sure of the fact that violence is the last thing that Hindu religion preaches. But this rule should be uniform across the spectrum. Crusaders like Mr. Varadarajan should always be there to protect this very tenet of our democracy, unlike their selective presence. I tend to categorize such flimsy arguments of Mr. Varadarajan as worthless because I find inconsistency with his approach in matters of similar nature. Not long back, Kamal Hassan’s Vishwaroopam was objected by protesting Mullahs. The agitation went so overboard that, fearing bankruptcy Mr. Hassan had to apologize to the world. I wonder where Mr. Varadarajan was hiding then. I never found him consuming rims of paper in letting know his dissatisfaction the way he is doing now. That is where Mr. Varadarajan’s present arguments and pledges for freedom of expression and choice sounds so hollow. If people, their friends and their moms want to enjoy PK without any fear, I am sure there were also people, their friends and their moms who wanted to enjoy Vishwaroopam as well. But there never came a torch bearer of freedom of choice like Mr. Varadarajan to save those prospective movie goers of their confounded misery. May, I ask why? Forget Vishwaroopam, even Akshya Kumar had to apologize for using ‘786’ in one of his movies. I didn’t see Mr. Varadarajan there either. Honestly, I am not against the philosophy of the above paragraph but I am against the selective amnesia of Mr. Varadarajan and his horribly misplaced pledge for freedom of choice. Like any secularist Mr. Varadarajan moves on with his expletives. The below paragraph actively summarizes how everything can be equated with the money it generates. I am not going back to hammer on a single point but Vishwaroopam was also cleared for public exhibition. And, no doubt a popular film maker like Mr. Hassan won’t produce something churlish, as far as the popularity among the audience goes. Neither Mr. Varadarajan nor anyone else from our secular stable ever thought of calculating the popularity quotient of Mr. Kamal Hassan back then. Though such cherry picking in allowing your emotions to explode begs for some answers, I pardon Mr. Varadarajan and his ilk from that pain because I know; the answer would be as absurd as the post itself. But one thing that strikes a brilliant note with insanity here is the rubbish attempt at furnishing the balance sheet of PK. For the likes of Mr. Varadarajan, I have only one line to say – there are many other things which have produced a hell lot of money but that doesn’t necessarily mean, those ventures are above criticisms. For records Mr. Varadarajan, even Sharada chit fund accumulated a lot of money, isn’t it? In fact the “Home Trade” Ponzi scheme had a lot of fan following and generated a lot of revenue, perhaps far more than PK, 3 Idiots, Chennai Express and Happy New Year put together. Does that mean both Sharada and Home Trade should have been allowed to go on without being objected? What kind of argument is this Mr. Varadarajan? In the second part where the hate for Sangh Parivar oozes out like a fountain, there Mr. Varadarajan must be cautioned and asked to revisit the recent past. If Mr. Varadarajan is so appealed by the objections in our daily lives, he must start with the Fatwas that any Imam worth of his salt issues at the drop of a goat. While he is against Sangh’s uncalled for diktat (and I agree) on the way we should wear, drink and roam around, he must equally be aghast by the call for someone’s head because of a book he/she wrote. Has anyone here ever seen Mr. Varadarajan talking about the freedom that people like Salman Rushdie and Tashlima Nasrin must enjoy? Where was Mr. Varadarajan when a bunch of fanatics opposed the presence of Salman Rushdie at Jaipur litfest? For people like Mr. Varadarajan duality is part of their life style. The below paragraph depicts it all. Agitation at Azad Maidan has to be the handiwork of a bunch of religiously blind morons but every Hindu agitation has to be politically motivated. How? Any specific reason Mr. Varadarajan? Or the word “politically motivated” gives the required arsenal to attack the BJP government by some means and acts as an excuse to stall the parliament in the next session? Why can’t there be genuinely aggrieved Hindus agitating? Their act of vandalism is deplorable but not certainly their freedom to agitate. Why someone’s genuine agitation (san violence) has to be painted as a politically motivated move? For your information Mr. Varadarajan, majority of Hindus get their education from proper schools and colleges unlike a certain section who get them from religious establishments. Hence to conclude, an average Hindu is far more mature, sensible, well informed and logical than the Varadarajans of the world, would be apt. Coming to the duality part; since when Mr. Varadarajan’s ilk have become so respectful of our court rulings? Didn’t I hear criticisms, even of our supreme court when both Sonia Gandhi and Rahul Gandhi were summoned in the National Herald case? Wasn’t Mr. Varadarajan himself sounded critical when somebody went to the court against Wendy Doniger’s deplorable book on Hindus? Then the argument of Mr. Varadarajan was – why so much intolerance for an opinion? Well then what? Hindus can neither agitate nor can take the course of law but only should lie quiet and take the filth on their face with grace. Is that so Mr. Varadarajan? Trust me when I say this, it only takes the brilliance of Mr. Varadarajan to object Hindus for every way they adopt. Hindus should be lampooned if they go to courts and they also should equally be lampooned if they decide to agitate on the streets. But for others, they only need to issue an odd Fatwa and be done away with while the intellectual in Mr. Varadarajan would be lining up with his literary brilliance to support the Fatwa. How convenient Mr. Varadarajan, no? All said and done, I thoroughly object to the violence that people are up to against PK. That is not what Hinduism teaches us. We respect a holy scripture called 'Bhagwat Gita', that talks about true peace and it is time we give back the respect by our actions and certainly vandalism is out of that purview. But, to expect people like Mr. Varadarajan to come out of their hiding and lecture us on what we should or shouldn’t do vis-a-vis morality and ethics, is like Venkatesh Prasad teaching the art of fast bowling to Shoaib Akhtar. Hope Mr. Varadarajan invests his time in something more credible because the only thing that makes him remain relevant in the times of this biased journalistic voyeurism is his extremely thin credibility report card. Freedom of choice, really? अनंतमूर्ति सबसे बढ़िया उदाहरण है. ऐसे पाखंडी हिन्दुओ को और कहा तक खा चुके है. अनंतमूर्ति कहना था मोदी प्रधानमंत्री बना तो मई ये देश शोड दूंगा। जब देश शोदने वक़्त आया है मुकर गए. मोदी को भी ये समझना चाईए jab tak हमारा हिन्दू धर्म स्ट्रांग नहीं करेंगे इस देश का डेवलपमेंट नहीं हो सकता. secularism is not a principle at all. Show me one country to follow secularism except india . if world, UN and human right wale failed to protect hindus in Pakistan, Bangladesh, various muslim country so why we so much shy to support Bajrang dal and VHP. Hope you write your next article about love for PK of Mr. Advani or the silence of Mr. Modi on PK? Advani thought he was going to hit back at Modi by supporting PK. But Indian public is not bothered anymore about Advani. So now u want Modi to speak on a silly film. He has better things to do, unlike u.
BTW, Mr. Modi is fast becoming next Man Maun Singh, the name coined by people like you. The sickulars fail to notice that our so-called hindu fundamentalist government has not banned pk. All the PK lovers, please hang your heads in shame... Why? Because if your understanding of things like religion, psyche, identities, boundaries etc are so shallow and simplistic that you consider PK being anything more than a blatant mockery and insensitive piece of mediocre film making.. than seriously just dont shout at the top of your lungs what an intellectual liberal messiah you are.... just accept that your are dumber than the paint on your walls and you enjoyed a dumb movie and went home..
Dont judge everything too early, one can give 10 yrs to one side and for another hardly months and wants everything to be done right in days. About movie, for me not worth.. initially showing every religions negatives and later down concentrating on one. Reason being if they point on so called secular, makers of movie would not live by now. When Aamir Khan did Mangal Panday and fought the 1st war of Independence he was hailed as a patriot. When he did Lagaan as Bhuvan and defeated the British he was hailed as a patriot. When he did Sarfarosh and ACP Rathod fought against Pakistani terrorism and ISI, then he was a patriot. When he did Rang De Basanti as DJ and awakened the youth he was hailed a patriot. When he did Taare Zameen Par and inspired the children of India, he was hailed as a patriot. When he did 3 idiots and taught the lesson of believing in ourselves, he was hailed as a patriot. Now, when he does PK and talks about unifying people across religions, and speaks against the frauds who are using religion to make money and spread hatred, then suddenly he becomes a 'musalmaan' and a 'desh drohi' ?!!! Mohammad Bhai, AK (not Arvind Kejriwal) was never considered a patriot in the past nor he is considered a Desh Drohi now. All that he is accused of are because of his third grade Hypocrisies. Hope, you are erudite enough to read the post in proper shape and understand the zist of it. Today 12 people were killed in Paris because of a cartoon about prophet.